To take advantage of the new trend of younger people enjoying wine on a more regular basis, many wine bars are popping up around towns across the United States. They not only provide more of a sophisticated atmosphere than the normal bar scene, but also give options to the wine drinking crowd. You might get a great gin and tonic at your favorite watering hole, but it may not have the best wine choices. SE Wine Collective, Portland OR: Bringing winemaking into urban Portland, four artisinal producers came together to form the SE Wine Collective. They have a full service tasting room that showcases their small batch vineyards. It was rated one of the best new wine bars in the country by Eater.com in September 2012. R.M. Champagne Salon, Chicago IL: With a focus on small farmers who grow and bottle their own products, RM Champagne Salon is known for offering an approachable yet elegant selection of estate-grown wine and Champage and made Eater.com's list, too. Belly Wine Bar, Cambridge MA: Belly Wine Bar's unique approach to categorizing wine encourages customers to explore wine from a new perspective, making it a top choice for new bars to visit by Eater.com. They have an extensive "By the Glass" menu including several types of orange wines. The Hermosillo, Los Angeles, CA: Recently renovated and one of the best bars, accroding to Eater.com's list, the Hermosillo Club is known for craft beer and wine with a focus on Latin flavors. Many of their wines are obscure vintages from Mexico that can be hard to find. This was also on Eater.com's list. Tinto, Philadelphia PA: Inspired by the rich culinary traditions of the Basque region of Spain, Tinto showcases Spanish wines that complement their menu. 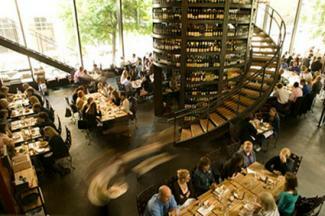 It was chosen as one of America's best wine bars by Travel + Leisure in March 2012. Jadis, New York NY: This quaint bar on the Lower East Side serves up mostly French wines from lesser known regions of the country. This bar was highly rated on Zagat and listed as one of NYC's best by CBS in April 2012. 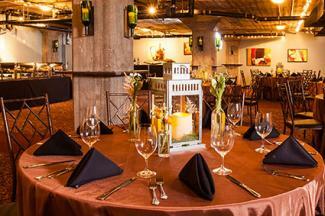 Barcelona, Atlanta GA: Barcelona restaurant and bar is known for it's heavily Spanish and South American wine menu. Many varietals are rare and largely unknown even to wine enthusiasts. It also made Travel + Leisure's list. Purple Café and Wine Bar, Seattle WA: Beloved for it's unpretentious approach to wine, Purple Cafe highlights interesting varietals and offers many selections from Washington state. It was highly rated on Zagat and listed as one of Seattle's best by CBS since 2010. Kazimierz World Wine Bar, Scottsdale AZ: Kazimierz serves up an ecclectic menu of international delights to match their equally varied wine list with choices from countries like Portugal and Lebanon, among many others. Kazimierz was included on Travel + Leisure's list. Cork, Washington DC: Cork strives to make wine accessible and fun for everyone to enjoy. Their casually elegant bar highlights wines from lesser known regions around the world sourced from old-world producers. This bar was second on the Washington Post's list of DC's best wine bars in October 2011. Domacin, Stillwater MN: With over 400 bottles on their list, you're sure to find something exciting and new at Domacin. They have a wide selection with an emphasis on West Coast and Italian wines, and made Travel + Leisure's list. Bacchanal, New Orleans LA: Bacchanal is wine New Orleans style-- there's food, live music, and a retail shop to go with the wine bar, where you can expect to find a great selection of French wines and a party in the backyard. Travel + Leisure named it to their list. Caveau Wine Bar, Denver CO: Also on Travel + Leisure's list, Caveau's mission is to provide every customer with the best wine experience possible through their wine flights and classes. Stop in for a snack and a glass of one of their many choices from allover Europe, the US, and South America. Vino Italia Tapas, Honolulu HI: Born out of the owners' love of food and wine, Vino Italia Tapas was created to replicate the casual but quality experience of traditional Italian enotecca's. They offer hard to come by selections categorized by region and grape, and were included on Travel + Leisure's list. Bartavelle, Berkeley CA: Alice Water's latest venture, Bartavelle is a coffee and bar with a small but exceptionally well chosen wine list that changes on a regular basis. Eater.com added it to their listing of the top bars. West End Wine Bar, Chapel Hill NC: West End Wine Bar is acclaimed for their variety, and was on Travel + Leisure's list. They offer wines from around the world that appeal to every price point and palate. Underbelly, Houston TX: One of the most acclaimd eateries in Houston, Underbelly takes a firm stand on wine; they only serve family owned and produced wines. Why? Because they believe they are the absolute best quality and value out there, and for good reason - they were also included on Eater.com's list. 20 Brix, Cincinnati OH: A stand-out in Cincinatti, 20 Brix offers its' customers over 100 types of wine by the glass or bottle. 20 Brix also made Travel + Leisure's list. 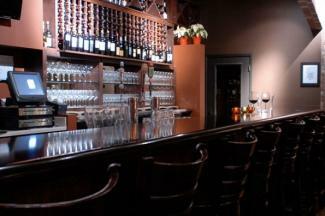 Veritas Wine Room, Dallas TX: Veritas offers over 350 wines with more than 20 by the glass. It was included on Travel + Leisure's list, so stop by to try some local food with any of their amazing international wines. Max's Wine Dive, Austin TX: Set up in a renovated warehouse and best known for their laid back attitude and catchy slogan, "Fried Chicken and Champagne? Why the hell not?! ", Max's offers one of the most exciting and varied wine lists in Austin. It was selected to be on Travel + Leisure's list. Terroir, New York NY: Terroir East Village, the first of several locations around NYC, strives to choose the best wines from all over the world that truly represent the undefinable quality of terroir that makes different wines from different places distinct, original, and delicious. Consistently voted one of the greatest bars for wine in the country, it remains on Zagat's list of top NYC wine bars as of November 2012. Bin 18, Miami FL: A dinstinctly Mediterranian approach to food and wine has made Bin 18 a favorite amond locals and tourists alike, and the bar made it onto Travel + Leisure's listing. They offer small plates designed to pair well with their heavily European wine list. 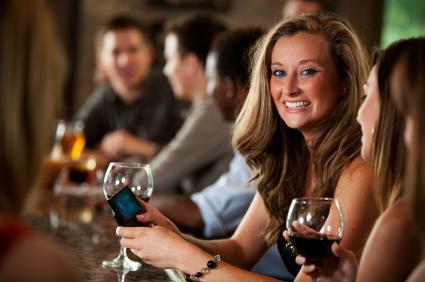 Wine bars are an excellent place to go as an alternative to traditional bars. If you're not in a cocktail-drinking mood, you can indulge yourself with tons of different wine choices. As a normal bar would have a plethora of cocktail and hard alcohol choices, so too does a bar specializing in wine have an equal amount of wine choices. You have everything from sparkling shiraz from Australia to your regular chardonnay from Napa and everything in between. Your hardest choice is to figure out what style of wine you're in the mood to drink. You can try four or five two-ounce pours just to try different wines, or you can use those smaller pours to find a taste of a wine you're looking to purchase in a bottle. Perhaps you're set on the five ounce pour because it's a full glass of wine to enjoy rather than a small two-ounce glass. Half-bottle pours into a decanter are also nice, because a bottle might be too much for you and your friend. Choice of pours is equally as important as the choice of wines. Bars featuring wine are also notorious for having "flights" of different wines. This works by the wine person at the bar setting up groups of three to five wines that are poured together, so you can try those glasses at one time. This is not only fun, but a great learning experience: side-by-side comparison is a great way to notice the differences and similarities in wine. The flights can be anything - Zinfandels from different areas of California, a flight of red wines from the Rhone Valley of France or chardonnays from Burgundy versus Oregon. If the bar you're visiting has these types of flights on the menu, try them. If you are a choice-overload person who can't make a decision with so many great options, don't distress. If you have an idea of what kind of wines you like, just tell the wine servers what you enjoy drinking. Their job is to match wines to your palate, so leaving it in their hands sometimes is a good decision. If you're a fan of lean, highly acidic white wines, tell them. If you're a fan of big, bold, ripe Zinfandels, tell them. Most reputable bars will have a policy that if they recommend a wine to you and you don't like it, they will take it back with no questions asked. The next time you're looking for an after-work place to hang out with friends and try some fun, new wines, consider a bar in your town that specializes in wine. Expand your wine knowledge and experience at the same time you're enjoying company of friends and co-workers. You may be even lucky enough to find one that serves food to accompany the wines, so you don't even have to eat after you get home. Either way, have fun and try new things. Enjoy!